Greetings! Today's post will be super quick. I'm exhausted from my day, but I still wanted to show you this beautiful polish! I'd wanted to try Dance Legend polishes for awhile, and I finally bought a couple from Llarowe. 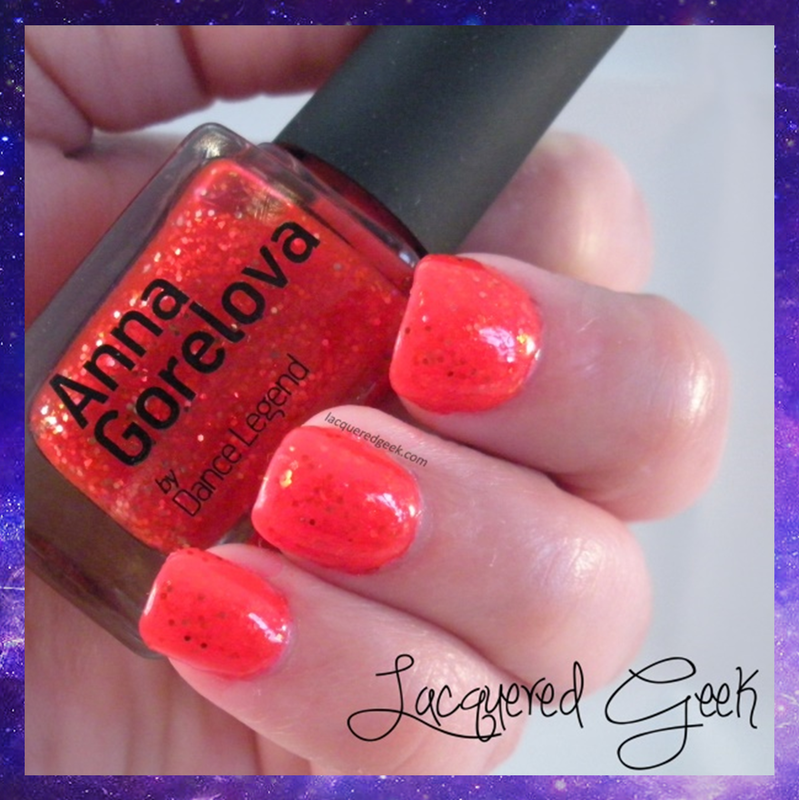 One of these was Zhar-Ptica from the Anna Gorelova collection. Zhar-Ptica is a scarlet jelly filled with orange and gold flakes. This polish does lean a bit orange. In the bottle, it was bright red, but on my nails, it took on more of the orange tint. Photos do not do this shade justice! The formula was great. It was on the thin side, but I hate thick jellies! Dry time was average. I am wearing 3 coats, plus a top coat in these photos. The polish does dry shiny on its own, but I added a top coat, mainly out of habit! I absolutely LOVE this little owl! Isn't it so cute?! Zhar-Ptica is currently available at Llarowe for $10.00. 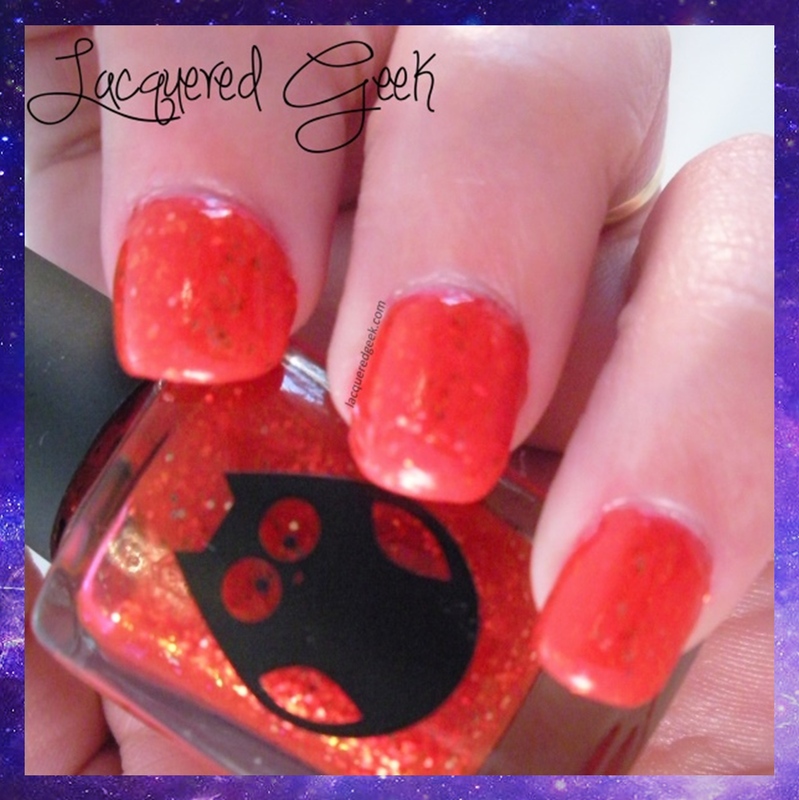 Halloween Nail Art: Friday the 13th! 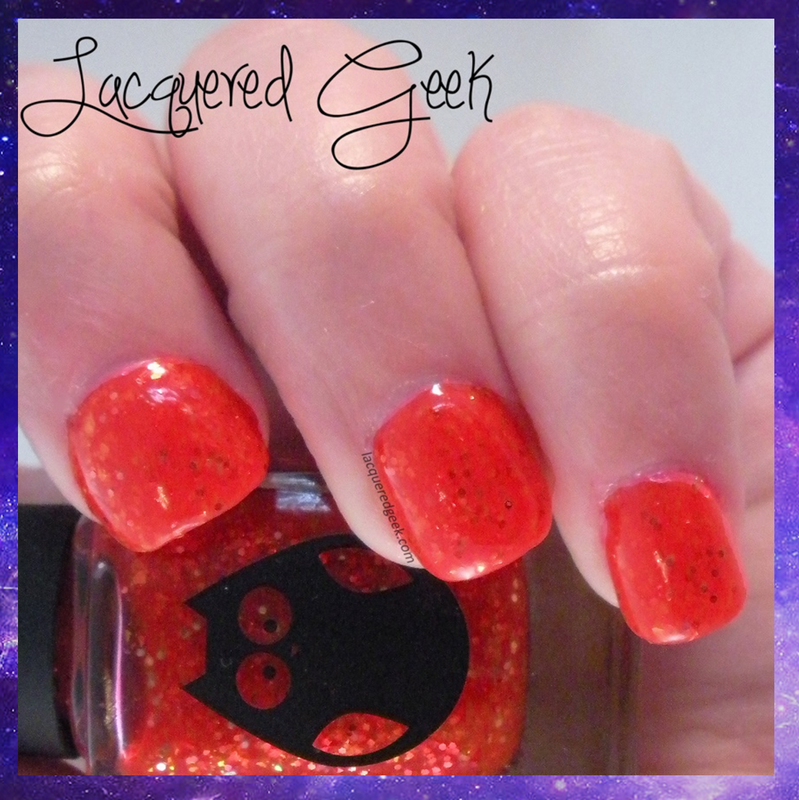 Halloween Nail Art: Bloodshot Eyes!